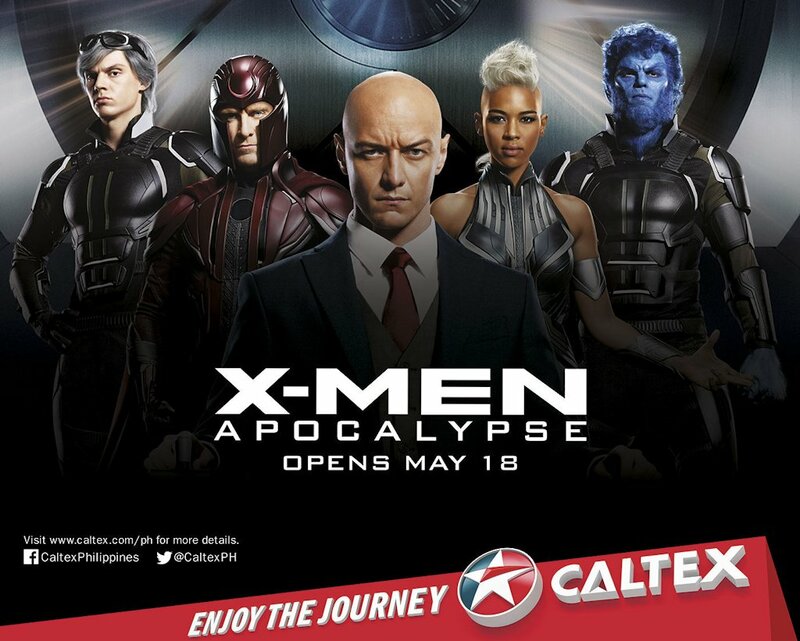 Marvel fans are in for an exciting treat as Caltex with Techron gives them a chance to win passes for one of the most anticipated superhero prequel movies of the year, the X-Men: Apocalypse. 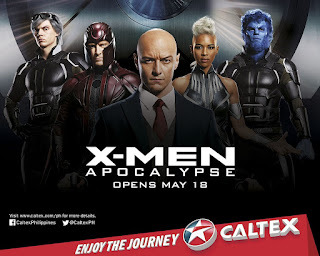 From today to June 7, 2016, the Caltex Fill Up on Xcitement promo gives motorists who fuel up at participating Caltex stations a chance to instantly win two (2) movie tickets in the form of coupon codes. For a single-receipt purchase worth P 500, a thermal receipt is generated which indicates whether the customer wins movie tickets via electronic raffle. Robinsons Rewards Card holders also get chances to win one (1) additional coupon code upon presentation of the card when fueling up at Caltex. “The Fill Up on Xcitement promo is our simple way of saying thank you to our customers, and treat themselves and their loved ones to a relaxing movie time,” said Peter Morris, country chairman of Chevron Philippines Inc. (CPI), marketer of the Caltex brand of fuels and lubricants. Aside from exciting promotions, Caltex with Techron provides motorists with five exciting key benefits for their car which are clean engine, maximized power, better fuel economy, smoother drive, lower emissions, and reliable performance. Winners may redeem their X-Men movie tickets from May 18, 2016 to June 7, 2016 at any of the participating cinemas or until such a time that the movie is still showing at these cinemas. Customers may win more than once. For a list of participating Caltex stations and participating cinemas, and complete mechanics of the promo, please visit this website.